Sorry, nothing much to see. I’m working on this page 🙂 Come back in a few weeks! A while back I got overwhelmed by all the projects I had on the go. My darling (and very sensible) fiance suggested I actually finish a few, before I started any more. You mean you can do that? I tried it and it did help. 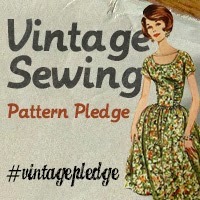 So now I am trialling doing only 3 sewing projects, 3 craft projects and whatever mending needs doing at a time. As you can see, I’m really good at sticking to 3 projects at a time. But if I write them out, then cross them off as done, I should at least feel accomplishedly bored, right? Stuff I’ve finished. Left here to remind me how much I actually have done. I had forgotten about the Secret Present for Auntie Josie, until I just saw it mentioned here. It is a work in progress, and you have lots of other things on the go, but it will happen when the planets are in the right angles. It is a good idea having lists of things you are working on. In my case it would be another sheet of paper to be added to the overwhelming pile. I have all this in my visual diary as well. I started it when the pile of papers recording ideas etc got so big it defeated the purpose. Good luck coping with your overwhelming paper pile. Maybe you can give yourself a frappe as a treat when done. It is working for me – check out my list of mending done. Wow!